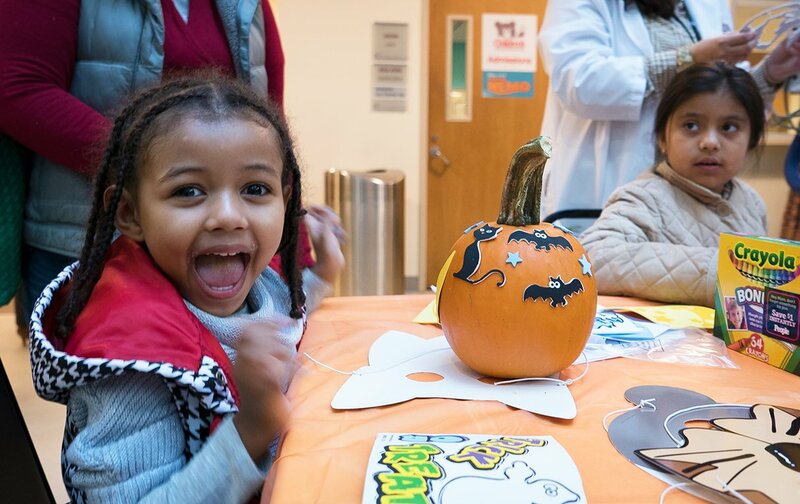 More than 300 pumpkins were donated to the hospital, ensuring pumpkin painting and carving for all of the hospital's young patients who are unable to leave the hospital to trick-or-treat. 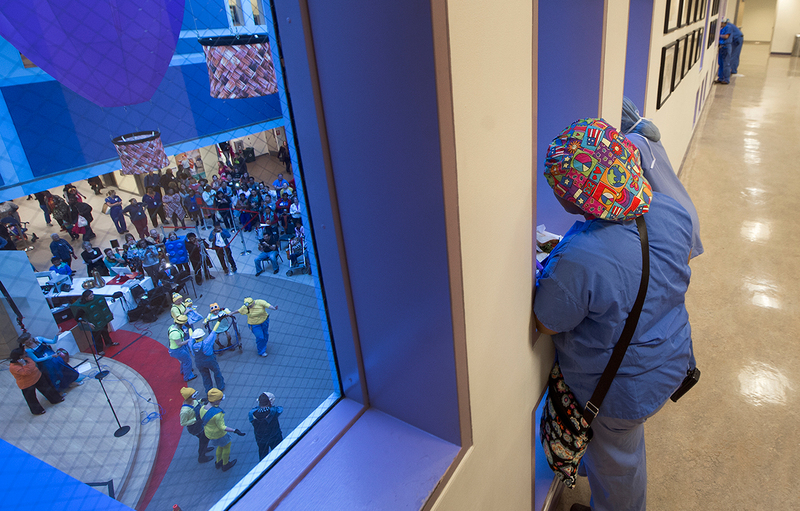 Photograph by Preston Keres. 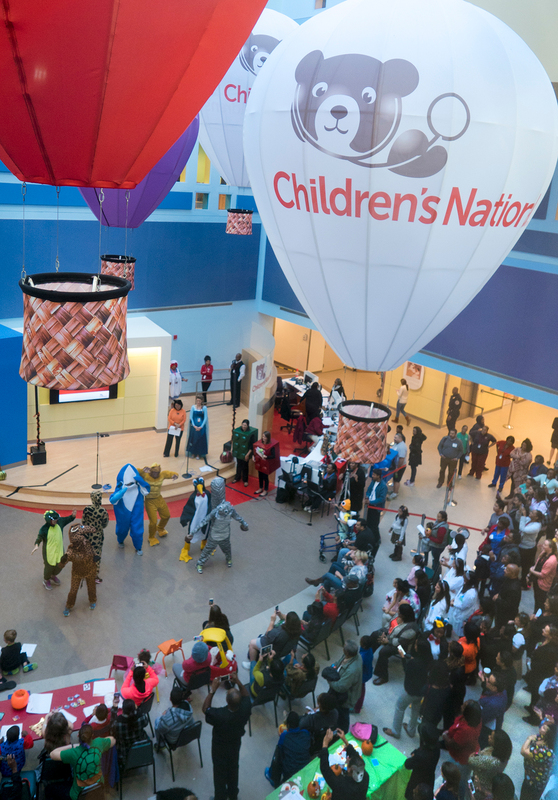 Every year, Children’s National Medical Center brings a bit of Halloween spirit to its young patients who aren’t able to leave the hospital to trick-or-treat with the rest of their peers. 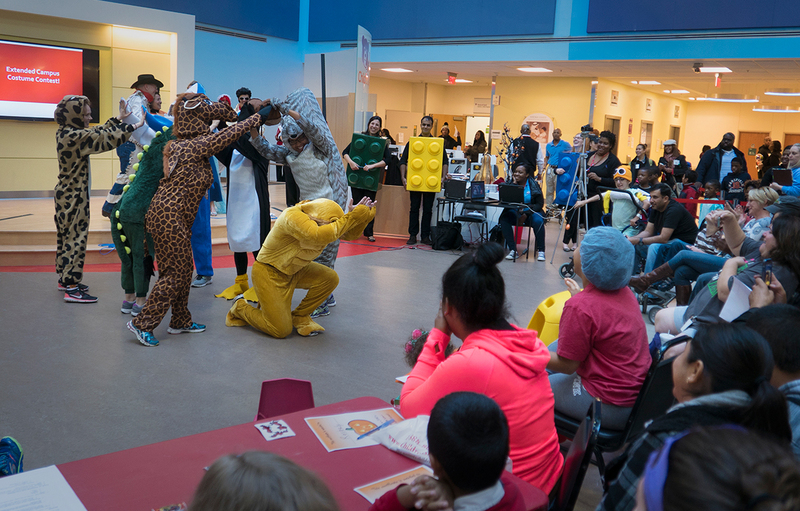 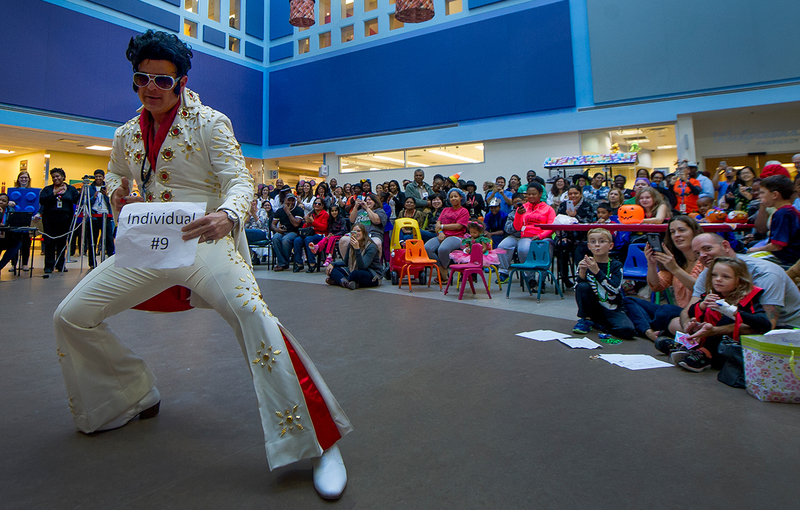 Hospital staff, visitors, and patients alike participated in this year’s celebration, which included pumpkin painting and carving, dances and skits, a costume contest, and even a parade through some of the hospital’s units. 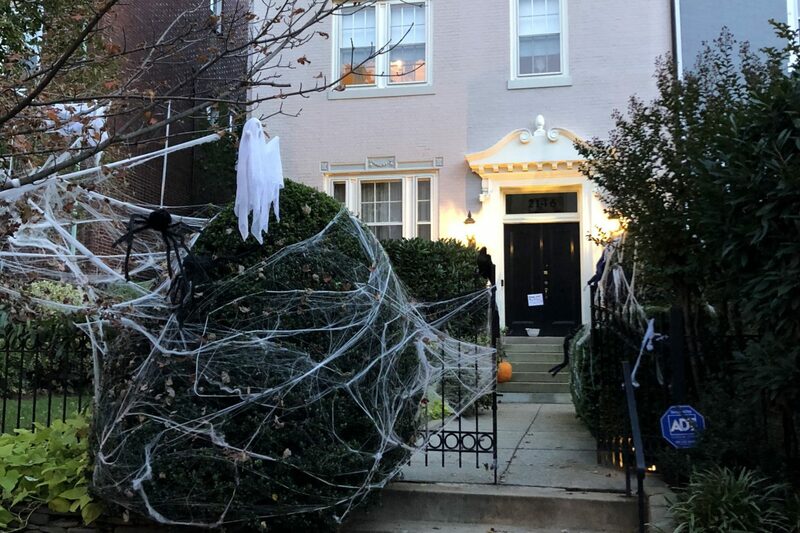 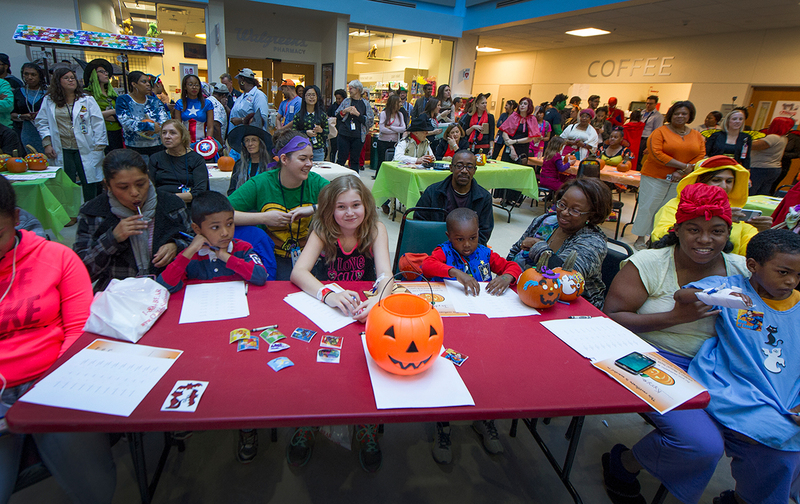 Children’s National also asked for donations of pumpkins this year and received more than 300, ensuring kids had some fun painting activities. 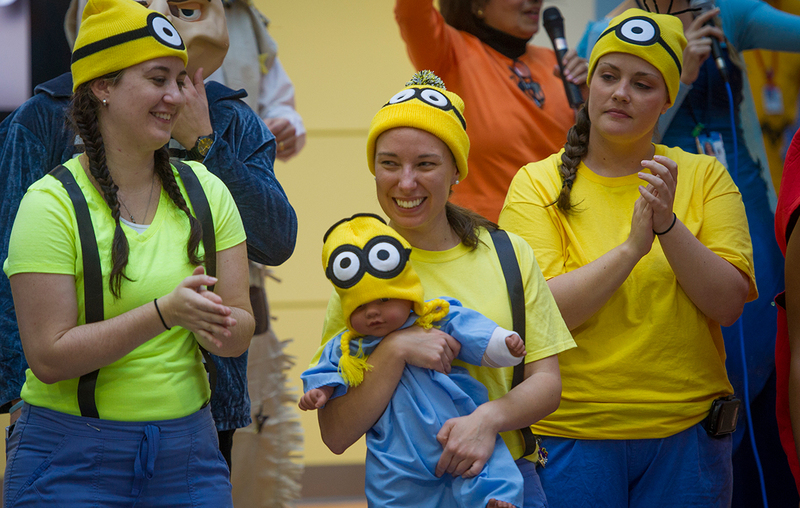 A panel of judges, consisting of five patients, reviewed the Children’s employee costumes and voted on the best costume of the year. 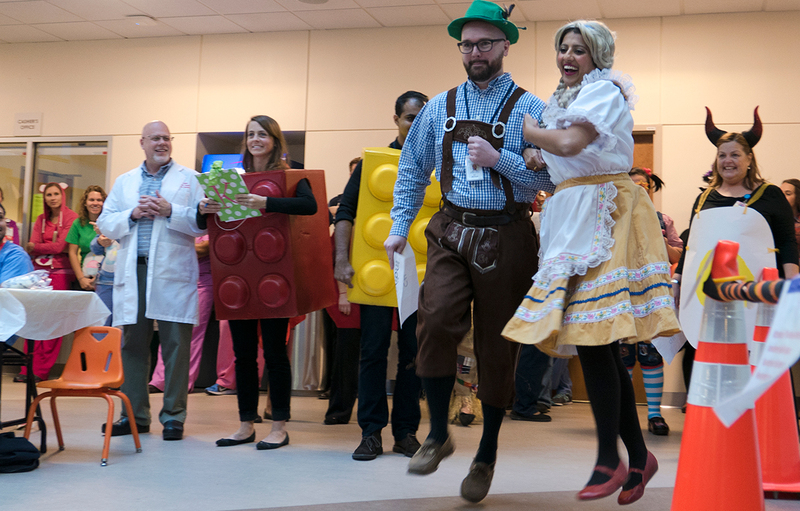 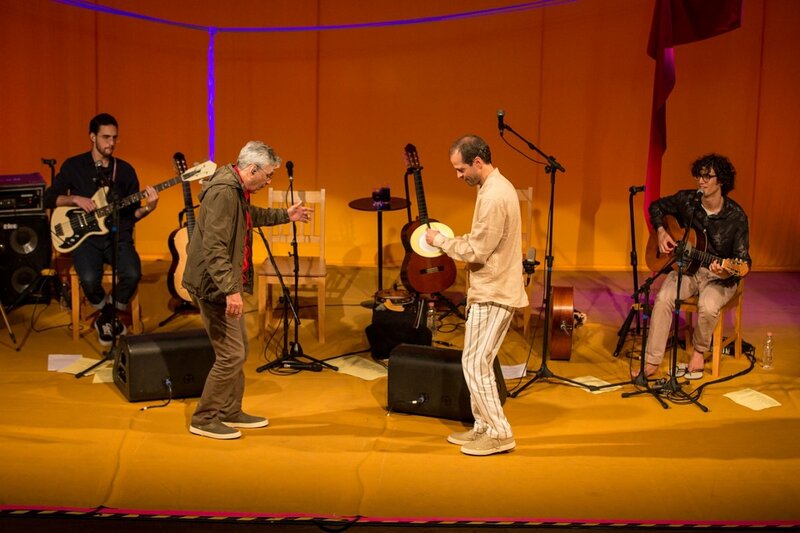 The departments that took part in the competition put on dances and skits for the patients, families, and visitors. 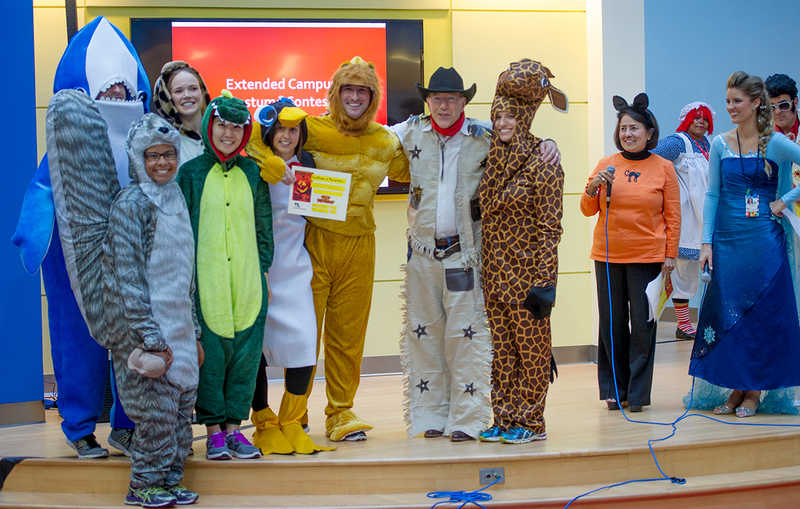 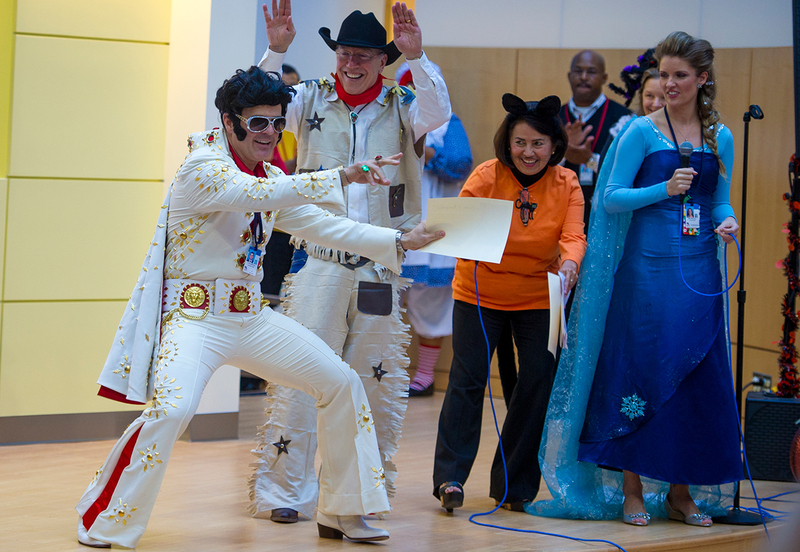 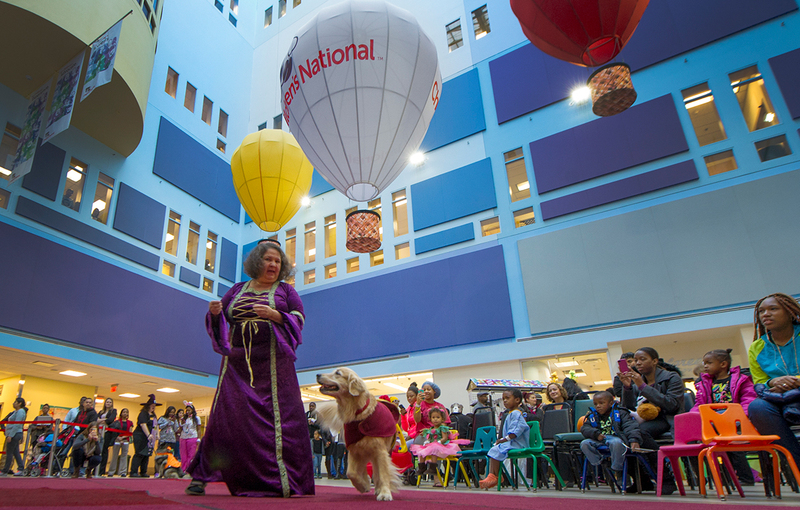 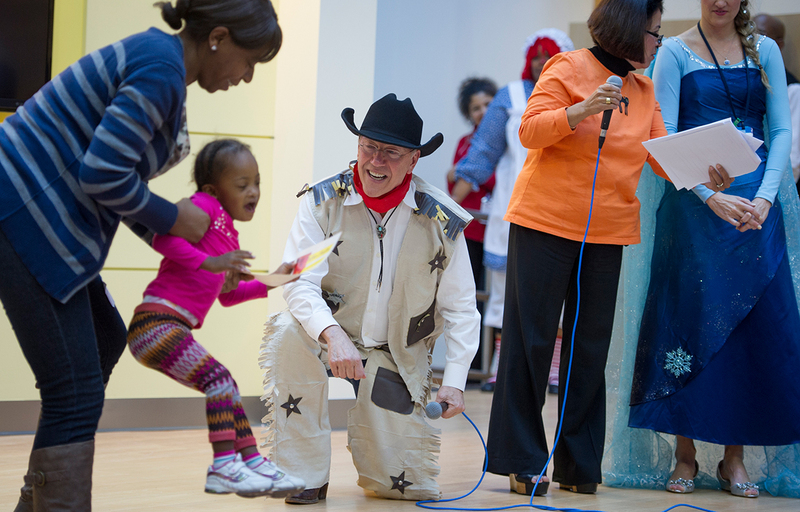 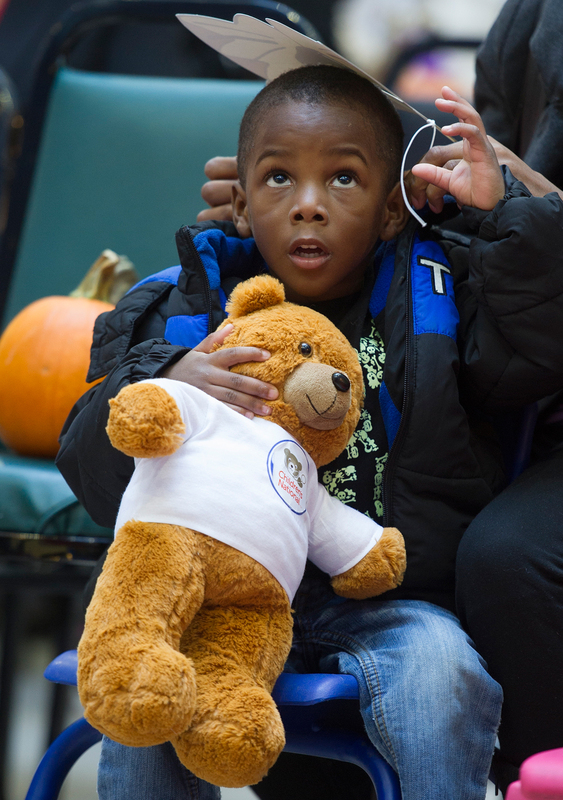 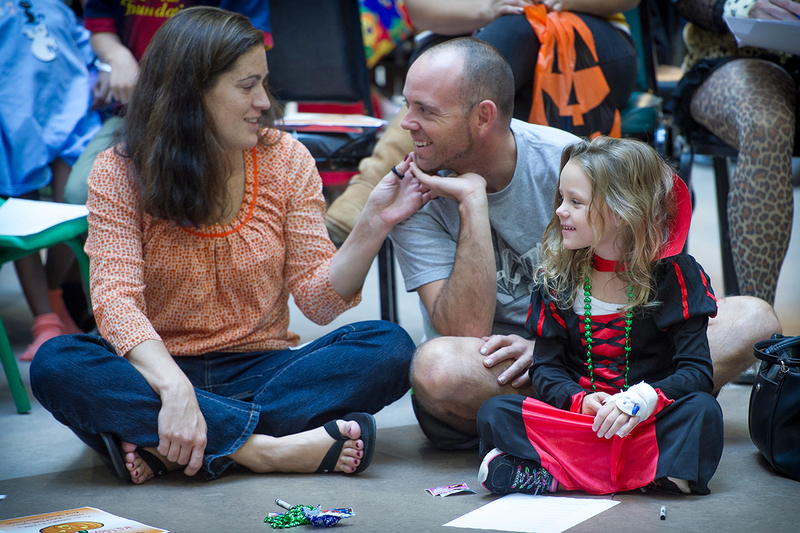 Children’s National Health System celebrated Halloween this year with patients, families, volunteers, and employees. 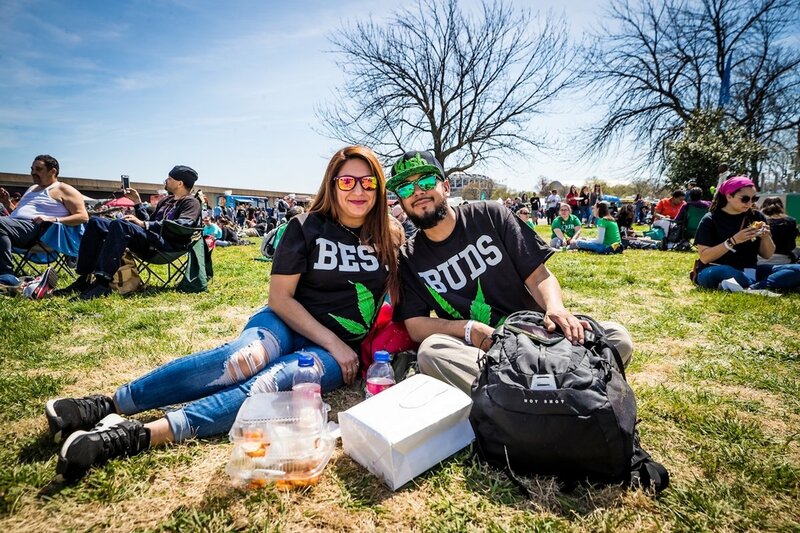 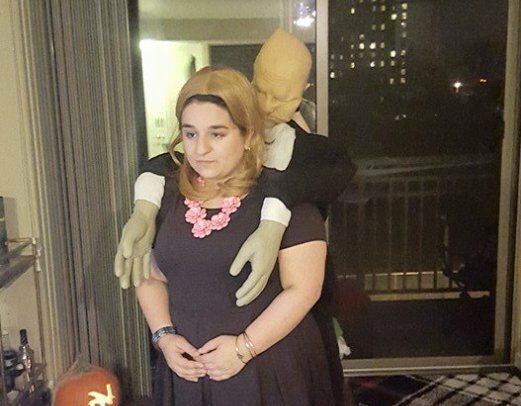 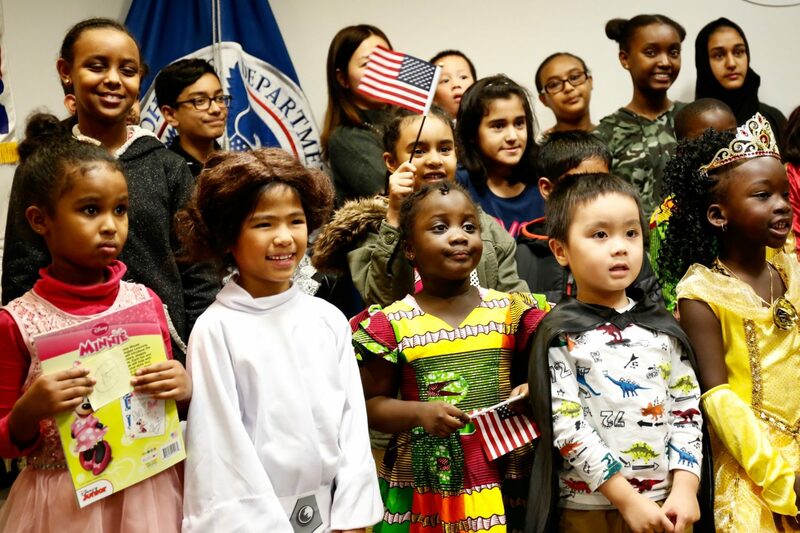 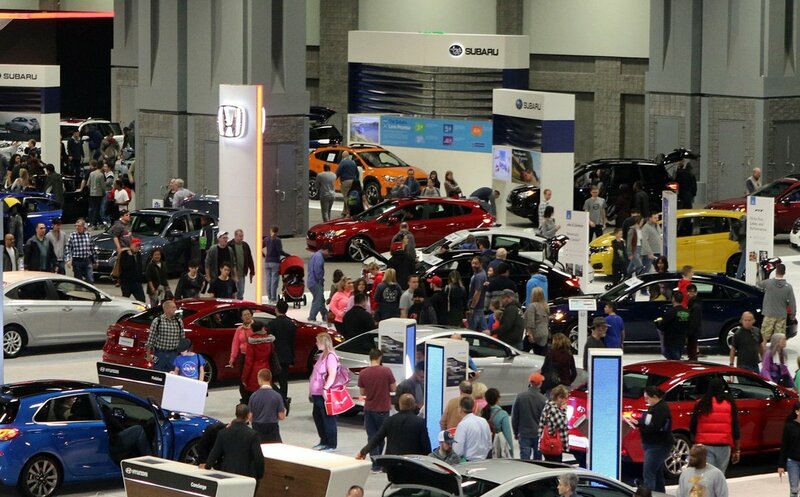 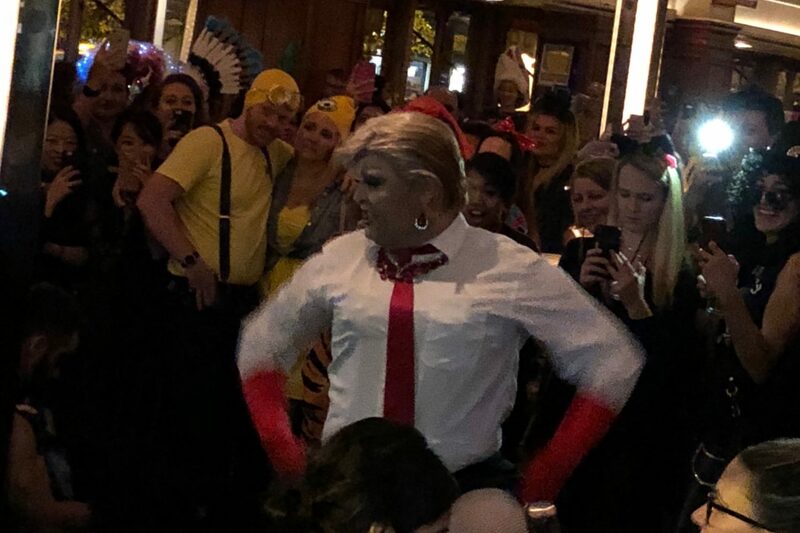 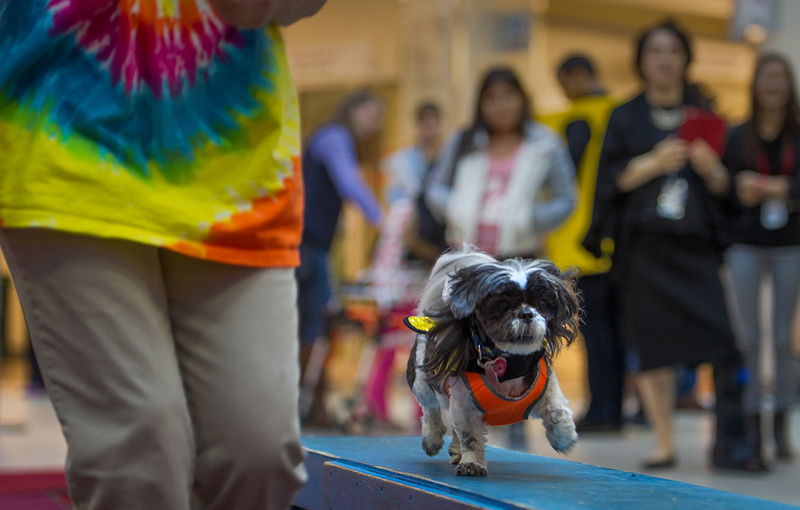 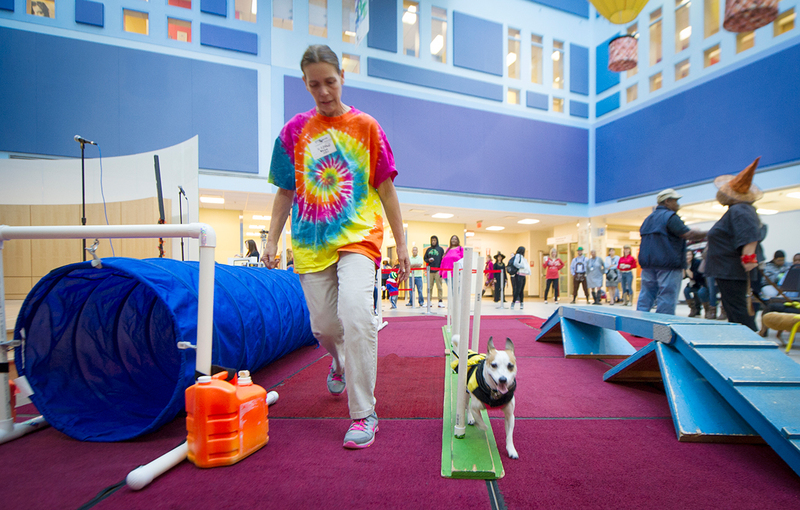 The event included an employee costume contest, dancing, dog show, a “parade” through some of the units, a pumpkin-carving competition and more.